We’d love your help. Let us know what’s wrong with this preview of Beyond The Field by River Dixon. A story for all ages! A simple act of kindness leads to an unconventional friendship that sparks a series of events which will forever change the lives of the inhabitants in a small, rural farming community. To ask other readers questions about Beyond The Field, please sign up. 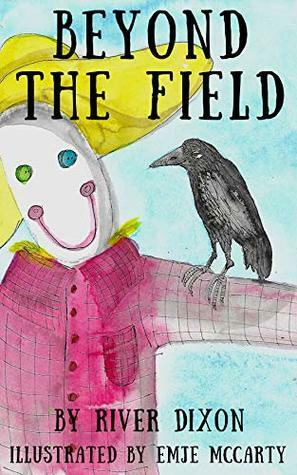 Beyond the Field is a cute children's story that begins with a kindhearted little girl who insists her scarecrow has a smile. A chance encounter between the scarecrow and a crow led to a six-year friendship. Dixon's story is original and touches on love, loss, forgiveness, and kindness. McCarty's illustrations are cute (although I must wonder why the boy doesn't have arms) and fits the story's theme. This is a perfect book for bedtime reading. This charming book deals in a clever and sensitive way with topics such as friendship, helpfulness, humour, perspective, and death. It's intended for readers of all ages and would be a delight to read to someone else, or to have read to oneself. I especially liked that the primary characters--the scarecrow and the crows--are nonhuman, with the humans playing a background role. The illustrations are a nice extra. I received a free copy from the author with no expectation of a review. Wonderful book, stylish, symbolic and simple stories... A very quick enjoyable read! Easy to fall in love with all heroes (mostly crows lol just kidding) and cute illustrations. Hopefully I can write a long review and post on my blog. I enjoyed this story very much, the progress, the message, the characters. Only one mark off, and that was for the distance from the reader; the kids wanted to have a single storyteller, or to have the girl come back at the end, but they still loved it.